Happy Friday Everyone!! Hope everyone is having a good breeding day!! Today I had the pleasure of interviewing Kenai Runningbear! I am sure many of you have seen him in the group he is in the group a lot so say a hello to him when you see him. He is always helping out breeders that need help or showing off one of his amazing horses. I was born and raised on the East Coast. 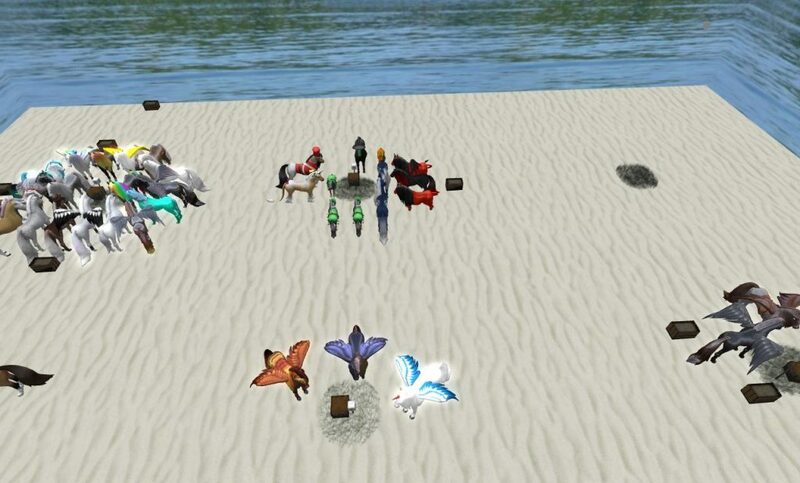 After seeing Second life while watching an episode of CSI New York I decided to try it out. 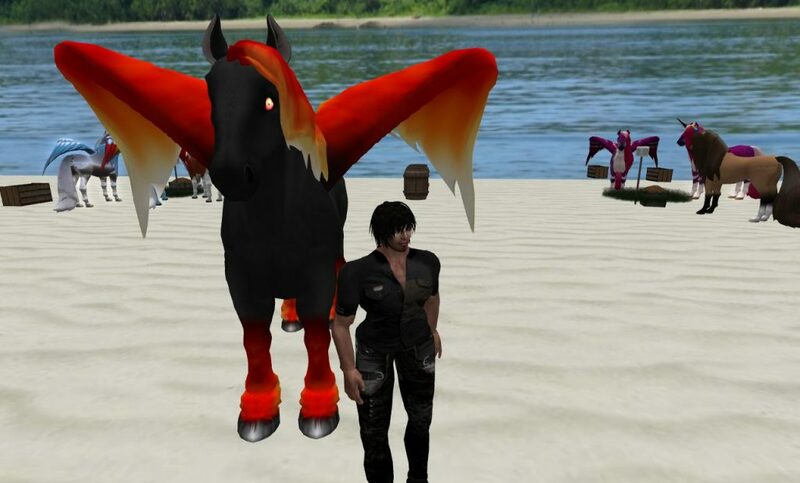 Shortly after starting in Second life I met the woman I will soon call my wife. We became really good friends then almost 7 years ago we were talking and decided that we should meet outside of Second life. Once we met we realized we were a perfect match. We soon had our first child together and have since had our second child together. 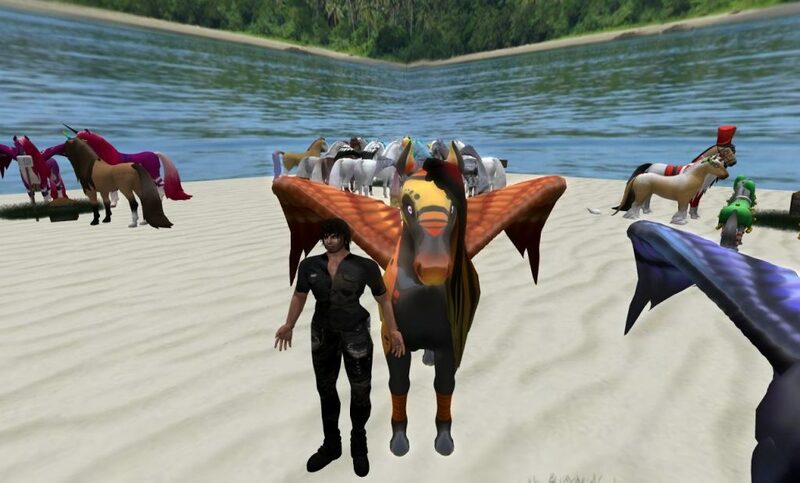 Since starting Second life I have had many ventures to include breedable auctioneer and auction house owner. Amaretto Horses soon to add Dogs and Barnyard Birds. I started breeding bunnies but quickly got tired of them because there wasn’t much I could do with them except feed them. A friend had shown me a horse that she had gotten and said that Amaretto had a cool Breedable horse that you could ride. I went to the Amaretto Store bought some Starters and have been breeding horses ever since. My soon to be wife and I have been fortunate enough to have been with Amaretto since shortly after they started. We have seen first-hand the many changes that have improved the horses to make them what they are today. No. After being with Amaretto for so long and after trying other breedables on the market I don’t get the enjoyment I do from breeding the Amaretto Horses. What special projects are you working on right now with your Amaretto K-9’s? Sadly not breeding any dogs at the moment trying to get my horses breeding where I wish them to be then I look forward to breeding dogs and Barnyard Birds. A big thank you to Kenai for taking the time to answer my questions! I have added some pictures of Kenai’s special horses. Until next week Happy Breeding!